The Museum is hosting an Anzac Centenary event on 25 October only. 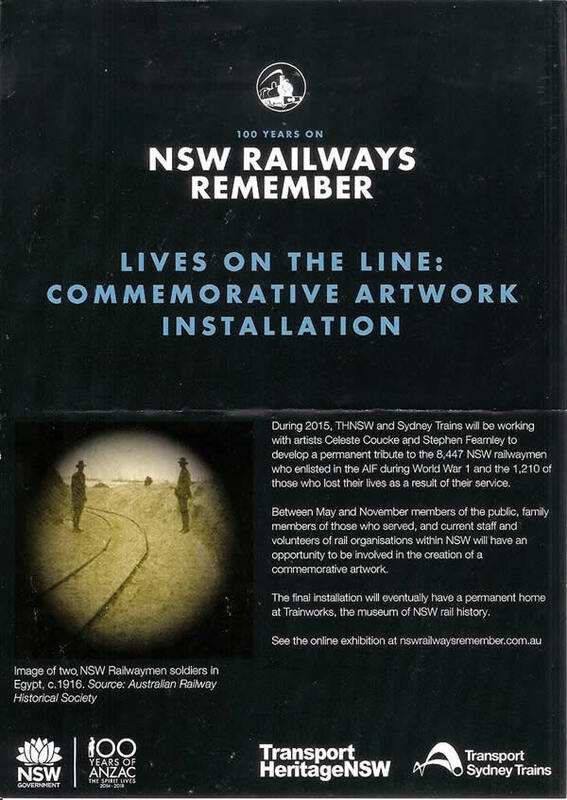 As part of NSW RAILWAYS REMEMBER, all visitors can help create 8,447 impressions of railway artefacts. By pressing clay into a mould, you can be involved in this commemorative work to recognise 8,447 NSW railwayman who enlisted in WW1. These will be fired later to form a permanent part of the floor at Trainworks, Thirlmere. Page Updated: Wednesday, 07-Nov-2018 13:33:56 PST.